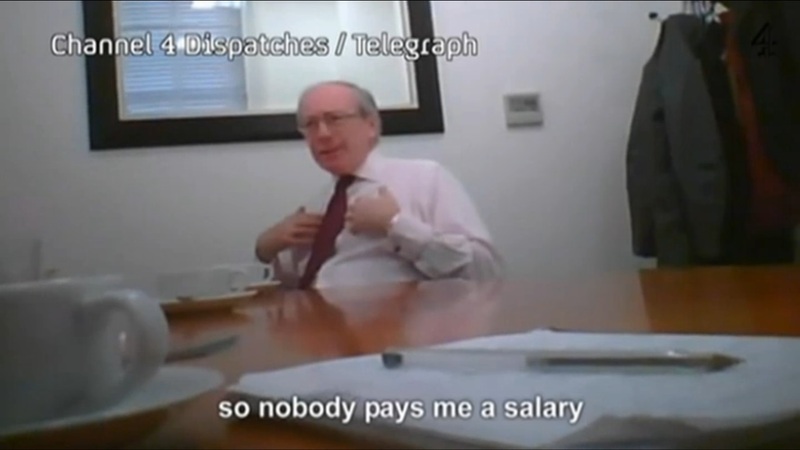 Kensington MP Sir Malcolm Rifkind has been suspended by the Conservative party after being punk’d by Channel 4, who secretly filmed him showing great willingness to work for, and acquire information for, a fictional Chinese company. The obvious question for residents of Kensington is ‘Will he still be my sole representative in parliament?’ The answer is less obvious, but if you live in North Kensington, you’ll understand completely: Rifkind not being in parliament would make absolutely no difference to most of his constituents. Sir Malcolm, or Riffers to his friends in the numerous jobs he juggles, is nowhere to be seen in North Kensington and doesn’t hold surgeries for constituents to raise their problems and concerns with their representative. He did appear once that I know of, the day after the riots. Somebody who was at the meeting with him told me “he doesn’t care…he doesn’t know anything”. With Malc as your MP, you might take solace in the fact that as a former Foreign Secretary, he might be able to represent your concerns about Britain’s foreign policy to ministers. But, no, Sir is pro-war, an armchair bomber, who replies to constituent letters of concern about war with what amount to fatuous press releases, steadfastly refusing to address any of their concerns head on. For half a day’s work he charges “somewhere in the region of £5,000 to £8,000” to give talks on the Middle East. A constituent told me about her experience contacting Rifkind regarding the onslaughts on Gaza by Israel: “It was pointless. He was closed off and unresponsive, the letter I received was a standard template everyone I knew who had written to him had got. I felt as though he was brushing off my concerns”. So, North Kensington is essentially left without representation in the UK parliament. In the C4 footage, SMR talks of the great amount of free time he is able to enjoy. Most constituency “events” take place during weekdays, he explains. Not commitments, not work, not engagement with the community, just events. So what does MR MP do with the time he frees up by abstaining from representing us? Turns out he’s a freelancer – “I am self-employed – so nobody pays me a salary. I have to earn my income” he says despite the £67,000 he gets paid, by us, for being an MP. In his other jobs, which pay him three times his MP salary, Malc Talc cannot possibly do much, as he explained to the phoney Chinese company that he spends much of his time “reading and walking.” Great. So, North Kensington, one of the most successful showcases for peaceful ethnic and cultural diversity on the planet, has a huge democratic deficit. It’d be nice to be represented, but for today we’ll just have to represent ourselves.